Few professions are as prestigious and important as upholding United States law. The very foundation of our nation is based on the principle that all are innocent until proven guilty. And all it takes is a convincing argument or strong set of evidence to set someone free…or imprison them. Undoubtedly, it takes a special type of person to aspire to a career in law. 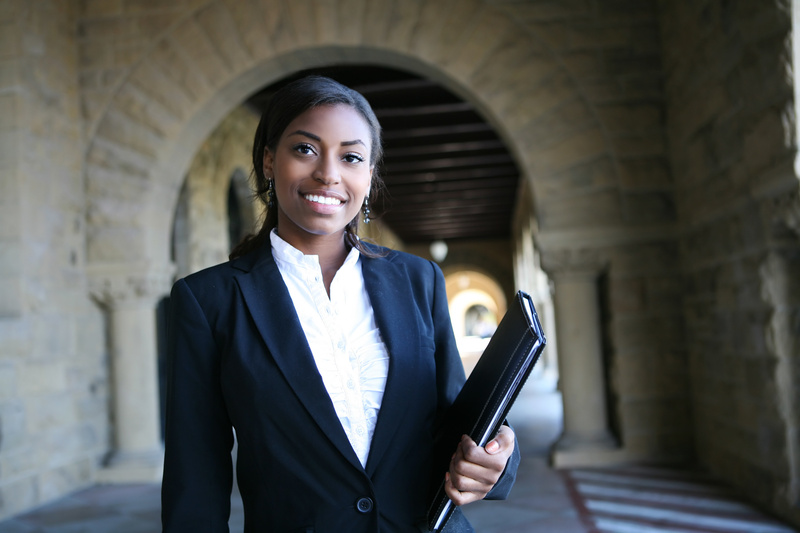 While becoming a lawyer isn’t easy, with years of schooling and the Bar exam standing in your way, those that persevere can earn an estimated income of $130 thousand per year. But how can you be sure that a career as a lawyer is right for you? First, you have to learn if you have what it takes. Here are seven of the biggest qualities needed to be a successful lawyer. For many of us, the educational journey ends as soon as we graduate college or grad school. But in order to be a great lawyer, one must understand that the learning never really ceases. Yes, your job will be to uphold the law and defend clients. But more than that, your job is to learn. Laws, especially in the US, are always changing. You’ll need to keep an eye on current cases and precedents if you want to succeed. Working as a lawyer is going to mean that, in a way, you’re always going to be a student. Those with a love of knowledge and a passion for gaining insight tend to excel in the field of law. Communication, like law, is an art form at its core. It requires extensive studying and a heavy dose of intuition. A good lawyer is able to effectively argue his or her case in a clear and efficient manner. It’s all about how the argument is toned, phrased, and even who the lawyer addresses. Well, a lawyer’s need for communication skills doesn’t end there. In addition to writing and speaking clearly, a lawyer has to be a good listener. A fantastic lawyer needs to be able to pick apart a sentence and determine what’s useful — and what’s just a distraction. Of course, sorting through the noise and unimportant details relies on more than just the ability to communicate effectively. A successful lawyer also needs to concentrate and tune everything else out. Should you pursue law, you’re going to quickly learn that people tend to throw a whole lot of information at you at once. However, not all of that information is worth following up on. There’s rarely ever just one “right” answer in any given case. There could be several explanations, a several more explanations within those explanations. If you’re someone who can cut through the noise and find the important bits of information, you likely have what it takes to be a successful lawyer. If sorting through page after page of a book or scouring the city for one case file doesn’t seem like your cup of tea, a career in law likely isn’t for you. Think of how much research goes into constructing a case. It takes hours upon hours of research from multiple individuals to come up with a compelling argument. If you’re someone who would rather use that time to actively ‘do’ something, you may not have what it takes to become a lawyer. Think of how much research US attorneys conduct day in and day out. When push comes to shove, research is actually the majority of the job. Research and academics are only half of the equation. In addition to spending hours researching a case or topic, lawyers have to be social. When considering a possible career as a successful lawyer, ask yourself: do you like being around people? It sounds like a silly question, but when you think about it, it’s an important part of the job. You’re working with the public, you’re mingling with co-workers and peers, and you have to establish rapport with judges. It’s a lot to balance, and some people would much rather stay in a room and research. But those who thrive on the energy of others and love talking to people and being social could do quite well in law. There’s no way around it, becoming a successful lawyer is going to take thousands of hours of hard work and labor. That means that in most instances, the 9-5 workday is a thing of the past. If you truly want a career in law, you’re going to need to exhibit an extreme flexibility with your schedule. There may be days where you end up working 15 to 18 hours to perfect your case. According to The Atlantic, it isn’t uncommon for lawyers to work anywhere between 50 to 70 hours per week…even if they only bill 30 or 40. There’s a good chance that, at least when you start out, you’re going to lose a case or two throughout your career. The numbers simply aren’t in your favor any way you cut it. What separates the good lawyers from the truly successful ones is the ability to pick themselves up and persevere, even when it feels impossible. A successful lawyer is going to fight for their client no matter what. They won’t stop until justice is served and they feel they’ve done right by their client. They keep going no matter how tough a case is. As you can see, becoming a successful lawyer isn’t something for everyone. Nor is it something that can be achieved overnight. It takes hard work, dedication, and a whole lot of patience. But those who push through are sure to find a great, rewarding career. So what do you think? Do you have what it takes? For more great career guides and advice, be sure to keep reading Working Home Guide. Your dream job may be a few clicks away.